Fine 9ct Gold 20inch long oval belcher link Trace Chain Necklace. Elegant style fine Trace necklace chain can be worn alone or would make ideal pendant trace chain. 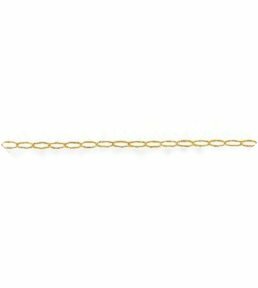 9 carat Gold 1mm wide fine 9ct Yellow Gold Trace Chains.